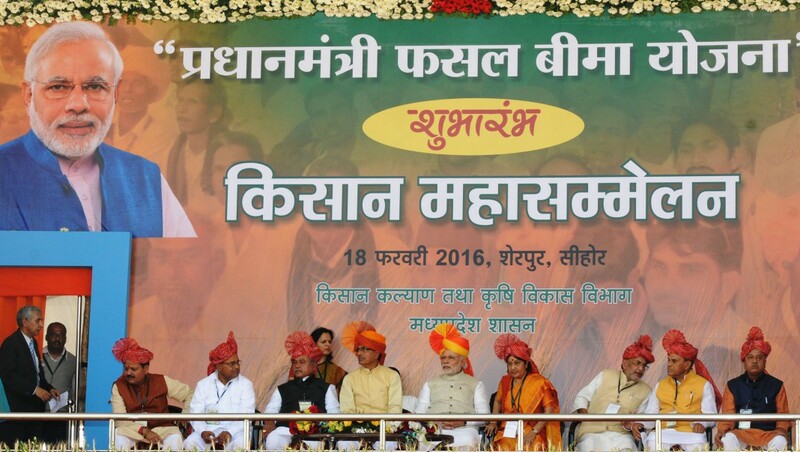 The Prime Minister, Shri Narendra Modi at Kisan Kalyan Mela, in Sehore, Madhya Pradesh on February 18, 2016. The Chief Minister of Madhya Pradesh, Shri Shivraj Singh Chouhan, the Union Ministers and other dignitaries are also seen. The Digital Platform for National Agriculture Market to be launched on Babasaheb Ambedkar’s birth anniversary on April 14th. The Prime Minister, Narendra Modi, yesterday unveiled the operational guidelines for the Pradhan Mantri Fasal Bima Yojana at a massive farmers’ rally in Sehore in Madhya Pradesh. 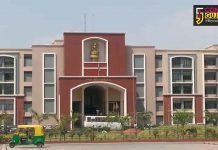 He said care had been taken to eliminate the shortcomings of previous crop insurance schemes, and create trust among farmers with regard to crop insurance. He said technology would be used extensively with this scheme to ensure early settlement of claims, and exhorted farmers to take benefit of this scheme. He congratulated the farmers of Madhya Pradesh, and the Chief Minister of Madhya Pradesh, Shri Shivraj Singh Chauhan, for the State’s excellent performance in the agriculture sector. Prime Minister also gave away soil health cards, and settlement certificates for insurance claims to select beneficiaries.